James joined Tiger Woods as the award's only two-time winners since its inception in 1954. 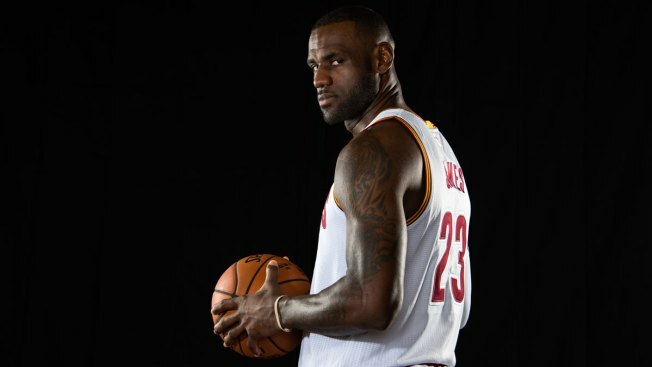 LeBron James #23 of the Cleveland Cavaliers during media day at Cleveland Clinic Courts on September 26, 2016 in Cleveland, Ohio. LeBron James delivered on a promise and ended decades of Cleveland sports misery in 2016. For leading the Cavaliers to an NBA title and ending the city's 52-year title drought, James was chosen as Sports Illustrated's Sportsperson of the Year on Thursday, joining Tiger Woods as the award's only two-time winners since its inception in 1954. Jimmy Fallon compares duplicate Instagram captions before revealing the very different images each account was captioning.